For the first half of 2017 there were two premier home run hitters in the American League. One was Aaron Judge, the guy who ultimately finished second in the MVP voting. 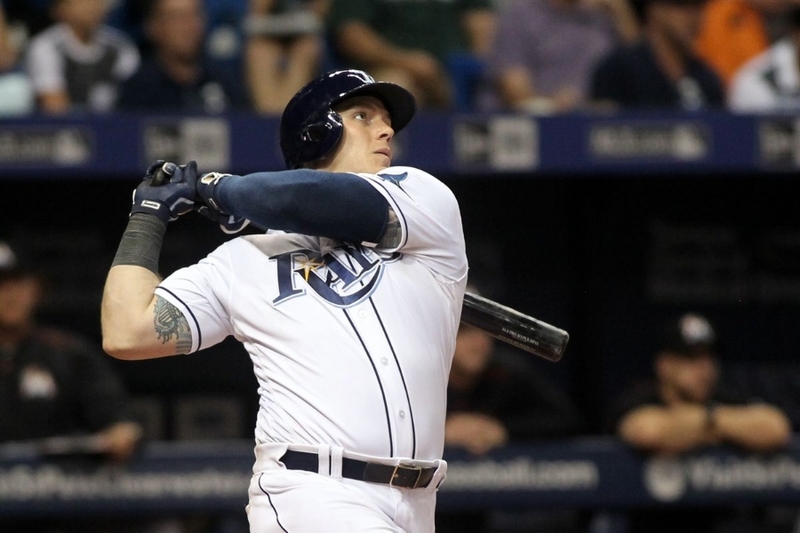 The other was Tampa Bay first baseman Logan Morrison, who hit 24 long balls in the first half of the season before finishing with a career-high 38. Morrison wasn't as good in the second half when his OPS fell from .931 to .786 (ultimately settling at a respectable .868). But his overall season was all around solid in the power department. What this tells me is that the Sox are preparing for life after JDM, or at least that is what they want Martinez to think. You never know with these sort of things. Martinez could've been bluffing that he is fed up with the Sox and Boston could be starting Morrison rumors in an attempt to get him to make up his mind. At this point it's unlikely JD receives the offer he's looking for. His best options are to either take the Sox 5 year, $125 million contract, or sign a 1-year deal in Arizona and try the market again next season. The problem with that is he's coming off a career year. This dude hit 45 homers in just 119 games! And it's suuuuuch a good fit with what the Red Sox need. You have to think his presence in the lineup also helps everyone around him, including Markus Lynn Betts, Xander Bogaerts, and Jackie Bradley Jr all of whom are coming off down years. It's also important to remember that Martinez has been good for a while now. He has the fourth best OPS+ of all hitters since 2014. If you're into stats check out the Brian Kenny video below. He makes a strong case that Martinez is in fact an elite player, particularly if you throw him at DH where his defense doesn't hurt you. Ultimately I'm still not convinced we don't end up with JDM. He is what we need (offense) and Boston is what he needs (the best offer). Morrison is a fine plan B, a cheaper alternative for power. I can envision some sort of rotation between Morrison, Mitch Moreland, and Hanley Ramirez splitting time between DH and first base. Again, Morrison is fine. But Martinez is still the real prize of the off-season. Don't lose sight of that just because things are taking forever to happen. Is JD Martinez great? I think I figured it out, once I put him..